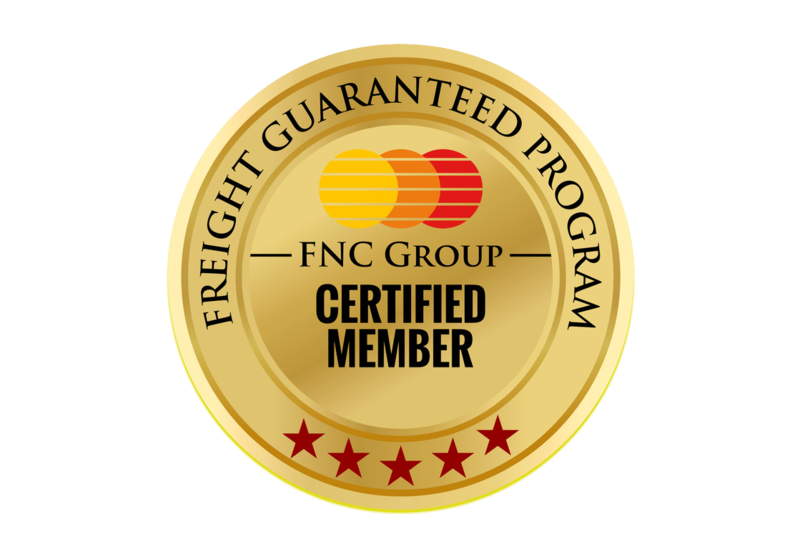 FNC Freight Guaranteed Plan: FNC group offers the Freight Protection Plan to its members. All FNC members are eligible to participate the Self Freight protection Plan while paying a small premium to its fund pool. Each policy holder can claim up to USD 20000 per year.The security fund will be utilised during any bad debt claimed by FNC member from another FNC member. Credit policy: A protection policy holder can deal with all FNC members for business, irrespective of their membership category.As per FNC Group credit policy is concerned each member is entitled to offer credit limit as below. To simplify the above,a policy holder can offer credit limit of USD 5000 to a basic member and USD 10000 to a verified member. Purpose of the program: To boost the bilateral relationship between members, FNC’s FPP program is introduced.FPP provides compensation between members during any case of unpaid invoice due to bankruptcy by other fellow member. FNC Group do not accept any claim from the member who do not hold the Freight Protection Policy.All members must report FNC Admin if there is any unreasonable delay of payment by the fellow-partner in the group.FNC Admin will there-on interfere and will make a follow-up and assist further. Please email admin@fnc-group.com to know more about fnc group freight protection program or additional protection. FNC Group do not accept claim from non participated members. The Freight Protection Plan is applicable for the business from the date of Valid Protection Policy.The claim cannot be accepted if the business is done before the policy's commencement date. This program is applicable for freight payment default only. Cargo Claim is not applicable in this program. Each member can obtain the cargo insurance and third party liability insurance separately. The following documents is required to prepare for the compensation. Copy of 3 reminders should be intimated in reasonable interval. Each case will be evaluated by the administrator approval.Admin office appoint the collection agents to recover the payment.On failure of collection by the recovery agency, admin office will instruct to release the compensation from the fund pool.It takes approx 45 days to complete the compensation procedure. Before offering or accepting business,we request to check the FNC group directory and confirm if the member is holding a valid membership in the group. Members will not be entertained to do business or claim for the protection program even after the notification of any suspended / Terminated member of the group is announced.We request the member to carefully read each announcement/circulation message from FNC admin and forward the same to your respective department in your office. As per the freight protection program, the recommend credit limit is USD 5000 for the Basic Member & USD 10,000 for the Verified Member. FNC Admin will circulate a ALERT message to the group - if any particular company has violated the payment procedures or received multiple & frequent complaint by fellow members against a company. Membership will not be renewed if continuous complaints received regarding in terms of payment or service against a particular company. Members cannot hold the payment during the damage or delay happened of the shipment. This can be handled by your third party insurance company. FNC Admin recommend always to check the directory in the website to know the authenticity of the membership validity. As, off late we have been receiving messages regarding the FNC logo used by non members to pretend as FNC Group member. FNC Group encourage to participate in the Freight Protection Program if not yet joined. By implementing the above system in your business, we hope to make better business networking within the group.